Sylvia @ Ruapotaka: Thank You Myron! This week we had a visitor come in for the Duffy role model assembly. 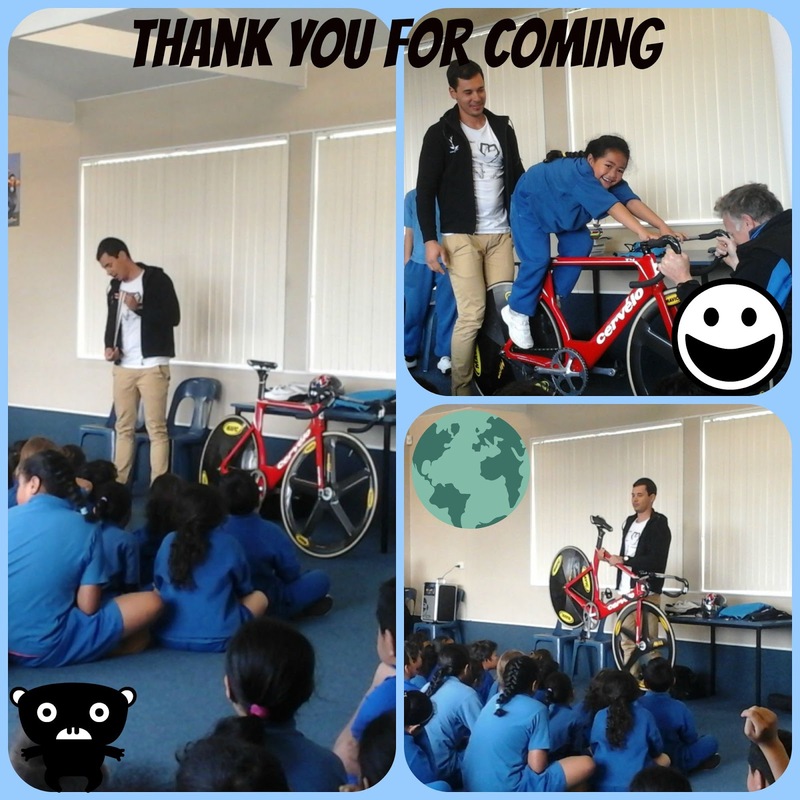 He is a cyclist that represents N.Z. He went to the Mexico cycling competition and won silver. He came in with his cycling equipment and some lucky people got to try them out. Myron owns his own muesli company but he is still learning so it is still developing, but you buy it online (http://myronsmuesli.com/).